Bone Gap is a book about perspective. About the difference between looking and seeing. About fairytales, self-image, the heavy burden that beauty can be and the pernicious ways we look at and treat women. It’s awfully tense and there is this feeling of anxious momentum that runs through this novel. It’s also very romantic where it matters, empowering where it counts and beautiful in its telling. A strong contender for a top 10 this year. THE PEOPLE OF BONE GAP CALLED FINN A LOT OF THINGS, but none of them was his name. When he was little, they called him Spaceman. Sidetrack. Moonface. You. As he got older, they called him Pretty Boy. Loner. Brother.Dude. The way they knew that the Cordero family had a ghost that liked to rifle through the fridge at night. The way they knew that Priscilla Willis, the beekeeper’s homely daughter, had a sting worse than any bee. The way they knew that Bone Gap had gaps just wide enough for people to slip through, or slip away, leaving only their stories behind.As for Finn, well, they thought he was a little weird, but that was okay with them. Finn, they were sure, had his heart in the right place. Just the way they did. Eventually, though, they found out that there was a good reason for Finn’s odd expressions, his strange distraction, that annoying way he had of creeping up on a person. A good reason he never looked anyone in the eye.But by then it was too late, and the girl they loved most—and knew least of all—was gone. Wow. Just, wow. Your review is gorgeously written and it’s sparked in me an even greater desire to read this book. I’d found the premise interesting and it’s been on my TBR, but I don’t think I truly understood what kind of book it was until now. Your review gives it the quality of something sleepy and literary mingled with the fantastic–which I love. I have an idea what that mythology may be, but I’m very excited to see how it’s done here. I’m also all for books that treat women as people rather than devices. I love what you said here about magical realism! I feel like all too often the term is simply used as a way to distance a work from the perceived cooties of fantasy. 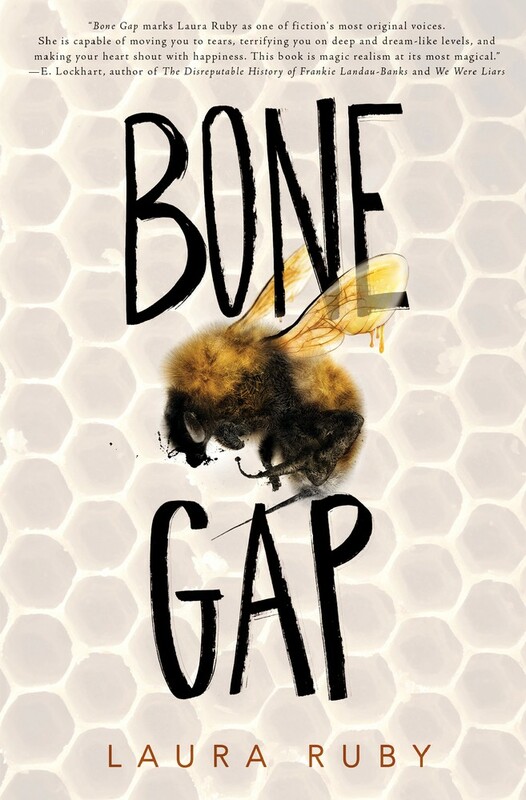 And especially in this case, when I feel like Ruby is in conversation with Robin McKinley and other YA fairy tale retellings, I definitely see Bone Gap as fantasy. Pros & Cons / Bone Gap by Laura Ruby | Ciao Bella!